The HashMap class implements Map interface and supports Generics from Java 1.5 release, which makes it type safe. There are a couple of more Collections, which provides similar functionalities like HashMap, which can also be used to store key value pair. Hashtable is one of them, but Hashtable is synchronized and performs poorly in a single threaded environment. See Hashtable vs HashMap for complete differences between them. Another one, relatively new is ConcurrentHashMap, which provides better performance than Hashtable in a concurrent environment and should be preferred. See the difference between ConcurrentHashMap and HashMap for detail differences. In this Java tutorial, we will see different examples of HashMap, like adding and removing entries, iterating over Java HashMap, checking size map, finding if a key or value exists on Map and various other examples, which we used frequently. Before going to see these examples, few things to note about Java HashMap.It’s not synchronized, so don't share your HashMap among multiple threads. Another common cause of the error is clearing Map and reusing it, which is perfectly valid in a single threaded environment but if done in a multi-threaded environment can create subtle bugs. In the first example of HashMap, we will create and add an object to our Map. Always use Generics, if you are not working in Java 1.4. The following code will create HashMap with keys of type String and values of type Integer with default size and load factor. You can also supply load factor (percentage of size, which if filled trigger resizes of HashMap) and initial capacity while creating an instance by using overloaded constructor provided in API. Adding elements also called the put operation in HashMap and requires a key and a value object. You can further see Java Fundamentals: Collections, a free course from Pluralsight to learn more about HashMap. It's a good course and available for free when you signup for a 10-day free trial. See how does get() method internally work in Java to learn more about retrieving mapping in Java. The article explains how get() method uses equals() and hashCode() to retrieve value object even in case of collision. Another way to get value from HashMap is by iterating over the whole Map. Sometimes we do want to loop through the whole map and perform operations on each key-value pair, we can use Iterator for that purpose. In order to use Iterator, we first need Set of keys, which can be retrieved using map.keySet() method. By the way, there are multiple ways to loop through Map in Java, see here for 4 ways to loop HashMap in Java. 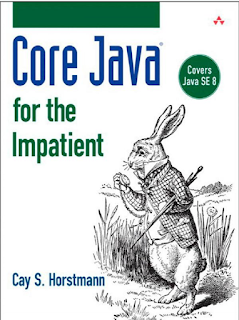 You can also refer Core Java for Impatient by Cay S. Horstmann to learn more about iterating over Map in Java, it also covers new techniques of iteration using forEach() method in Java 8. Two fundamental examples of HashMap is finding out how many elements are stored in Map, known as the size of Map and clearing HashMap to reuse. Java Collection API provides two convenient methods called size() and clear() to perform these operations on java.util.HashMap, here is code example. You can reuse Map by clearing it, but be careful if it's been shared between multiple threads without proper synchronization. Since you may need to prevent other thread from accessing map when it's getting clear. I suggest not to do until you have a very good reason for doing it. In this example of Java HashMap, we will learn how to check if Map contains a particular object as key or value. java.util.HashMap provides convenient methods like containsKey(Object key) and containsValue(Object value) which can be used to for checking the existence of any key value in HashMap. 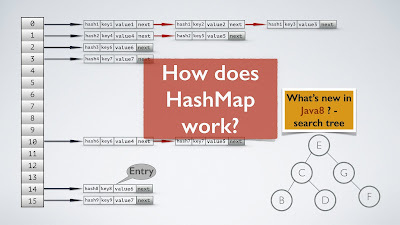 In this Map example, we will learn how to check if HashMap is empty in Java. There are two ways to find out if Map is empty, one is using size() method if size is zero means Map is empty. Another way to check if HashMap is empty is using more readable isEmpty() method which returns true if Map is empty. Another common example of Java HashMap is removing entries or mapping from Map. The java.util.HashMap provides remove(Object key) method, which accepts key and removes mapping for that key. This method returns null or the value of the entry, just removed. You can also see Java Fundamentals: Collections, a free online Java course from Pluralsight, to learn more about removing or replacing existing mapping in HashMap. HashMap is an unsorted Map in Java, neither key or value is sorted. If you want to sort HashMap than you can sort it based upon key or value, see how to sort HashMap on keys and values for a full code example. Alternatively, you can use SortedMap in Java like TreeMap. TreeMap has a constructor which accepts Map and can create a Map sorted on the natural order of key or any custom sorting order defined by Comparator. Only thing is key should be naturally comparable and their compareTo() method shouldn't throw an exception. Just to remind there are no Collections.sort() method defined for Map is only for List and it’s implementation e.g. ArrayList or LinkedList. You need to synchronize HashMap if you want to use it in a multi-threaded environment. If you are running on Java 1.5 and above consider using ConcurrentHashMap in place of synchronized HashMap because it provides better concurrency. If your project is still on JDK 1.4 then you got to use either Hashtable or synchronized Map. The Collections.synchronizedMap(map) is used to synchronize HashMap in Java. See here for a full code example. This method returns a thread-safe version of Map and all map operation is serialized. So far, it is the best intro-article on HashMaps I've ever seen. Please add some practical example of HashMap usage. Do you know how to get all key value pair from HashMap using core Java library, without any external library? I have a requirement, where I need to convert all HashMap key values to a colon separated String e.g. key : value and send them to another system. I don't know how to convert HashMap to String, as toString() format is not the one I wanted. I have an idea to write a static method, which takes HashMap and returns a String with all key values pair separted by : and individual entries seprated by comma (,) My only problem is I don't know how to get all key values from Map? map.put(21, "Twenty Two"); command work? Ok, I read in java docs, it will. Nice one ... very clear and informative! I'm doing the java program that connects to the mysql databse. there are four different tables in my database and i'm writing the four class respectively. i want to store my data retrieved from database table into the HashMap collection. and print the data of the Collection. Can Anyone tell how can i do this?